This Fund was started in April of 2019 by the Farmdale Cemetery Association. 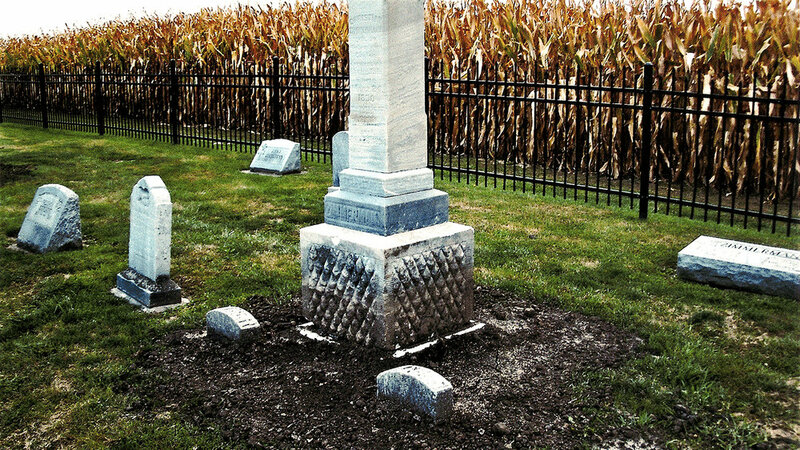 The purpose of the fund is to provide for the maintenance, repair and restoration of monuments, headstones and grave markers of historical or architectural significance to the community, thus promoting an appreciation of community history to the educational benefit of the general public at the Cemetery; and to provide funds for the preservation, beautification and maintenance of abandoned or deteriorating graves of deceased persons and Cemetery in general, focusing on areas open to the public or to the public's view and for the care and replacement of trees, flowers, shrubbery and lawns, including removal and replacement of diseased trees, thereby contributing to the aesthetic enjoyment of the community and combating deterioration; to provide for the maintenance of semipublic areas whose maintenance would otherwise devolve upon government, thereby lessening the burdens of the government. Farmdale Evangelical Church, built in 1872 on land donated by John Oesterly. It burned down in 1929 and the church property was incorporated as part of the cemetery. 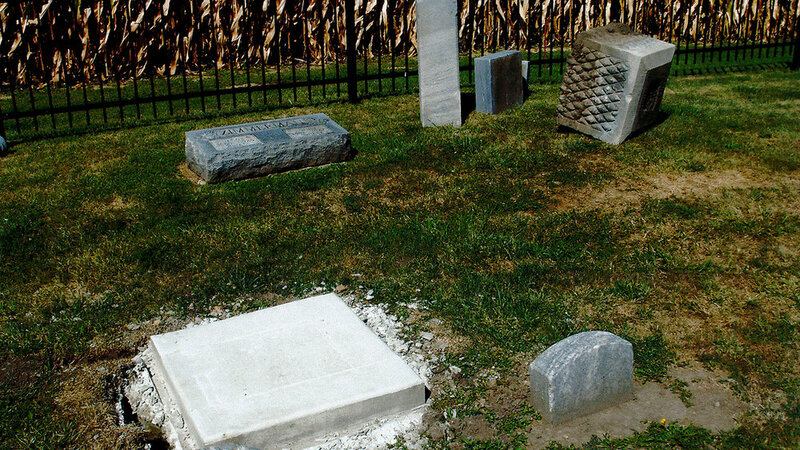 The historic Farmdale Cemetery is a small but beautiful not-for-profit cemetery that is located in a quiet country setting in rural Illinois between Morton and Washington on Farmdale Road and Wiegand Lane surrounded by farm land and 300 yards from the Pine Lakes Golf Course. Soon after the Civil War the John Oesterly family donated this parcel of land for the construction of the Farmdale Evangelical Church which was completed in 1872. The grounds immediately behind the church was dedicated as a burial ground and several monuments remain that identify individuals that lived and died in the Farmdale area more than 100 years ago. 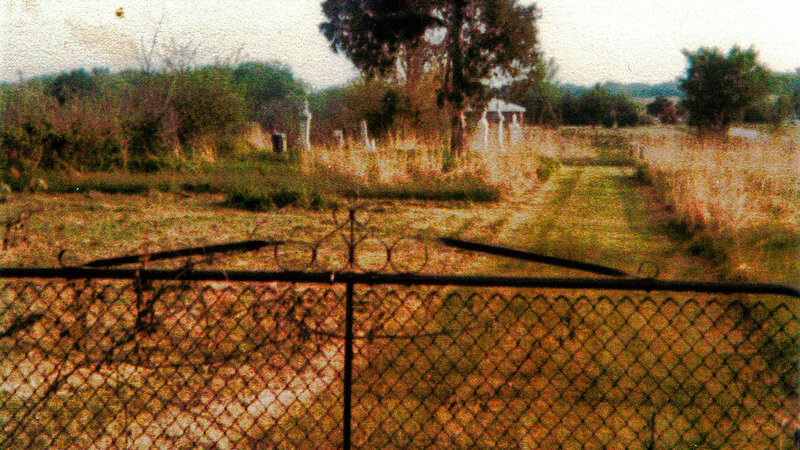 The church burned down in 1929 and the church property was incorporated as part of the cemetery and was named the Oesterly Cemetery to honor the original donor of the land. Over the next many years, little attention was given to the cemetery located on this marvelous piece of land and little by little it became weedy and surrounded by a rusty and crumbling fence. 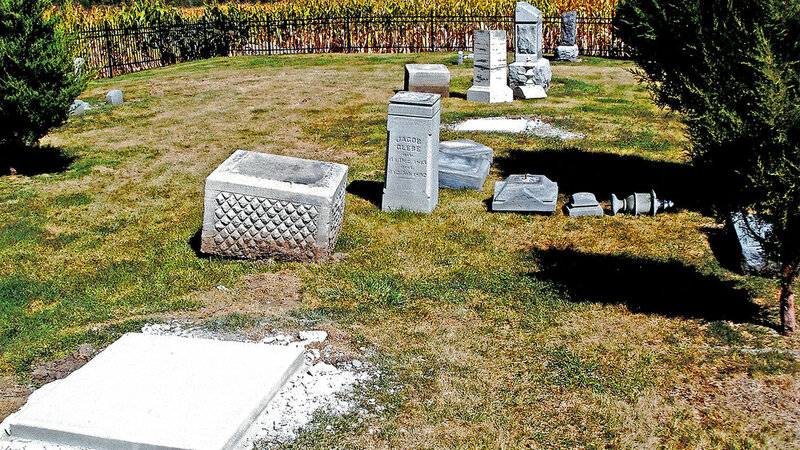 A group of concerned neighbors and relatives came to the rescue in 1957 and formed an incorporated association and renamed the Oesterly Cemetery the Farmdale Cemetery. The association was dissolved in 1973 but was reestablished in 2001 with the formation of the not-for-profit Farmdale Cemetery Association which rehabilitated the cemetery with new fencing, careful attention to maintenance, and a robust sale of grave sites to area families. Today the cemetery is a vibrant entity with an established board which oversees the care of the cemetery and its historic monuments. In 2018 the cemetery board initiated an endowment fund with the Morton Community Foundation to insure that there would always be funds available for ongoing historic preservation of this historic cemetery property.